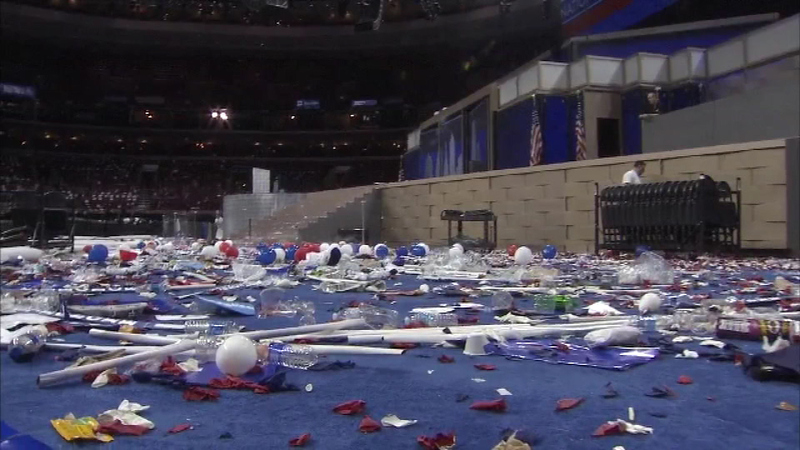 By Friday morning, the speeches and celebrations of the Democratic National Convention were over. 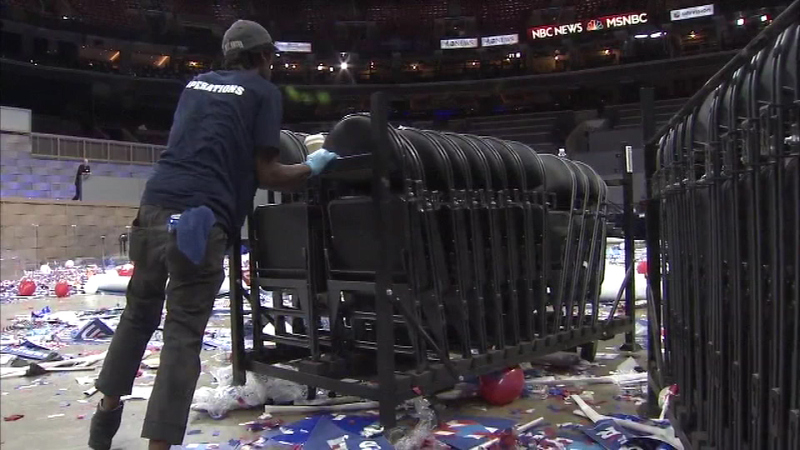 It was time for crews to clean up the Wells Fargo Center in Philadelphia. 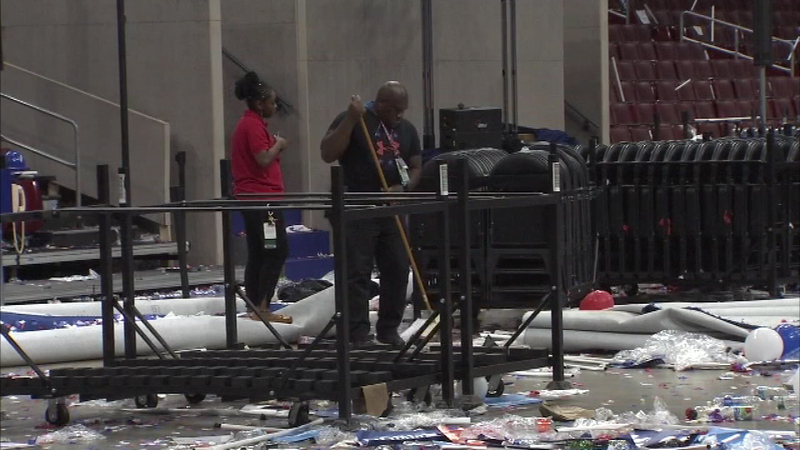 SOUTH PHILADELPHIA (WPVI) -- While the candidates move on from Philadelphia, workers at the Wells Fargo spent Friday cleaning up the mess left behind. 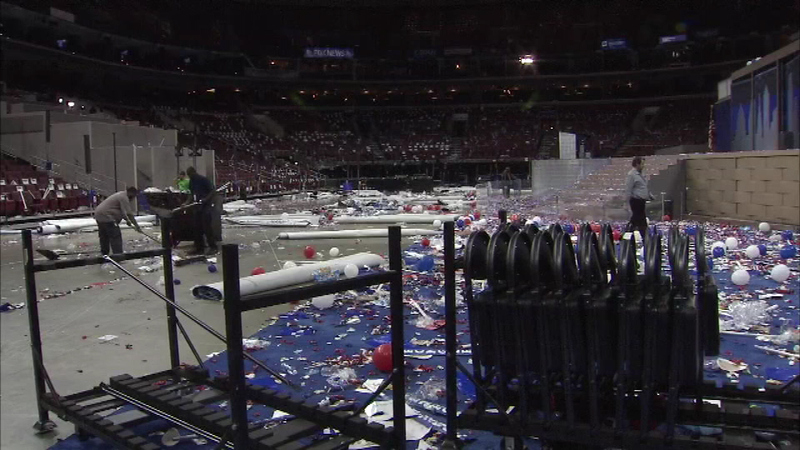 Microphones were dismantled, chairs removed, debris swept and a million feet of wire dismantled. "This is the biggest job I've ever done. 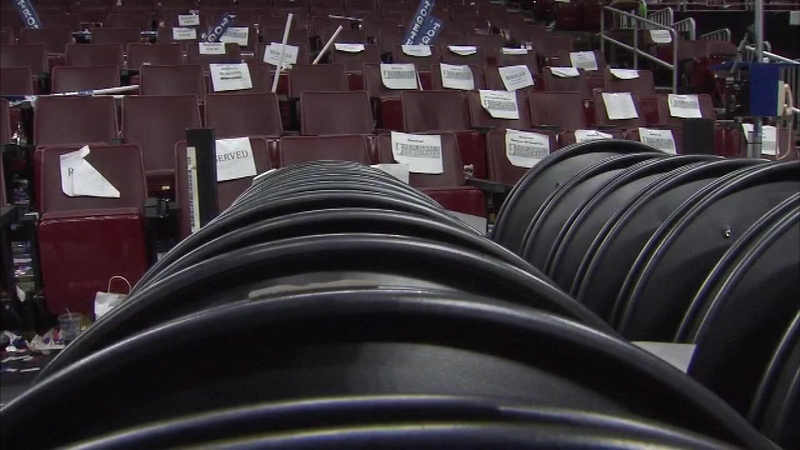 I was down at the RNC for a few days, 20 years ago," said Brian Giffear, IBEW Local 98. 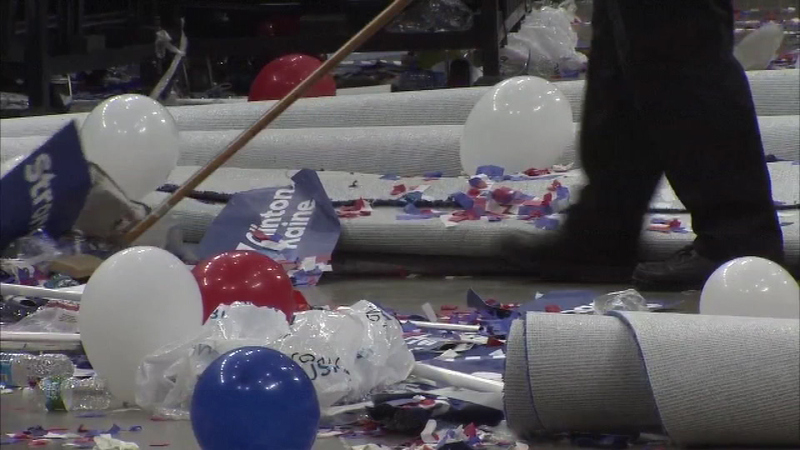 While the candidates move on from Philadelphia, workers at the Wells Fargo spent Friday cleaning up the mess left behind. 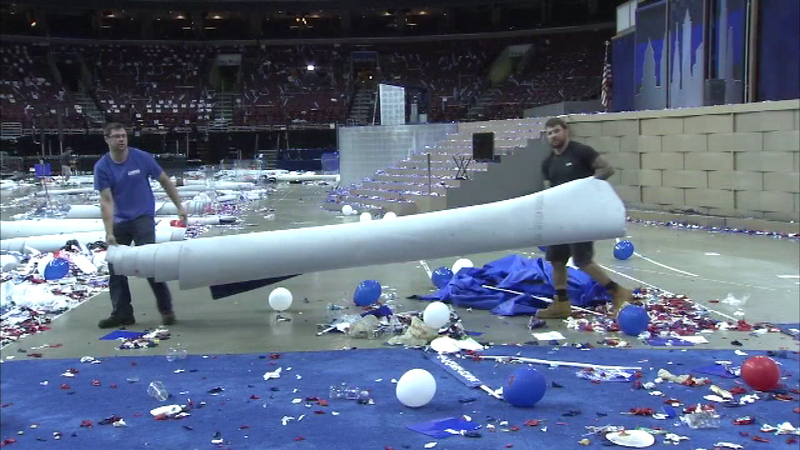 Deconstructing the Wells Fargo Center will take weeks. "This is chaos. All I see is signage everywhere and everything. I know we can do it. It's going to take some time," said Ainyae Stratton, Wells Fargo Center. 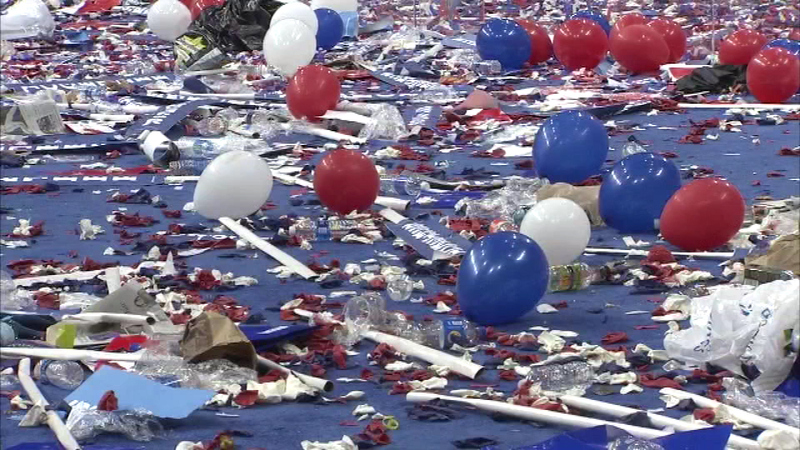 After the celebration at the DNC came the cleanup. Across the Street at FDR Park, there is a breakdown of a different sort. The last remaining tents are being packed up as protesters start the trek home. Bernie Sanders supporter Jay Rickert came from Grand Rapids, Michigan. 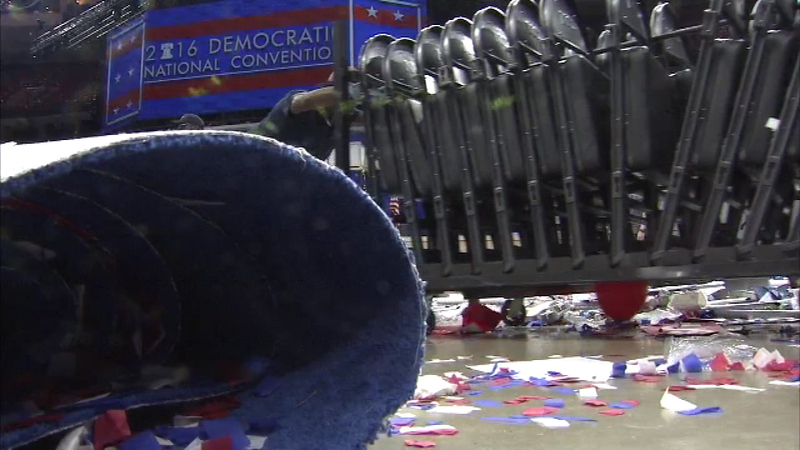 Crews work to clean up the Wells Fargo Center following the DNC. "Philly is a very embracing city. It was good. As far as the protests, I feel, for the most part, we were very coherent, very cohesive in trying to get our message across," said Rickert. The streets in South Philadelphia are now open, gridlock is gone and residents are relieved. "I am glad it's over. 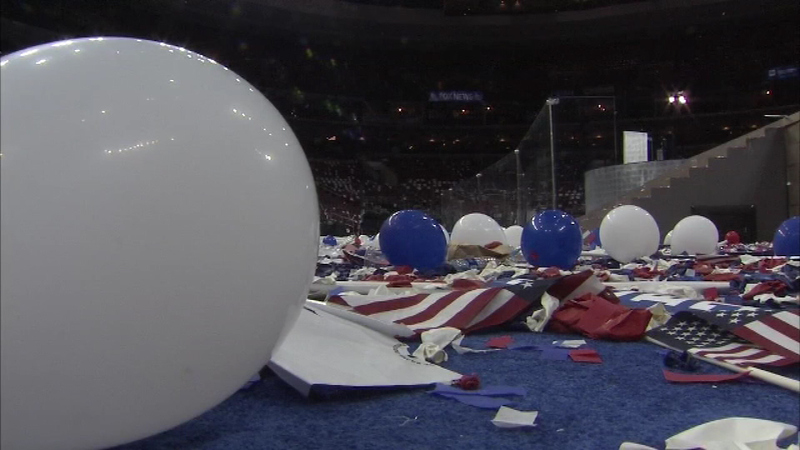 Everybody is relaxing now, and we can get back to our normal life," said Gabriele DiGiacomo of South Philadelphia.